Spain’s High Court has ended an inquiry into the slush funds of the country's ruling Popular Party (PP), which it allegedly used for at least 18 years. The judge has ruled that there is enough evidence to launch a case against the party’s two treasurers. According to Pablo Ruz, a judge of the National Court in Madrid, the party used “various sources of funding outside of the legal economic sphere” from 1990 until at least 2008. In his statement, he said he had gathered enough evidence to bring the case to trial. At the same time, a case against 22 other suspects – including ex-Popular Party Secretary General Ángel Acebes and business people who donated money into the parallel accounts – was closed. The 190-page report concluded there was enough evidence to support a case against former PP treasurers Luis Bárcenas and Álvaro Lapuerta. The two may appear in court, along with the heads of Unifica – the architect firm which renovated the party's headquarters in Madrid and received an undeclared €1.55 million (US$1.6 million) payment. The investigative judge also said the party may be probed regarding the tax dodging of €1,050,000 million ($1.15 million) in illegal donations it received in 2008 from sponsors who went over the legal limit or were not allowed to make cash gifts, as they had contracts with the government. Pablo Ruz has also launched an additional probe on a garbage collection contract won by a Toledo firm. According to former PP treasurer Bárcenas, that was a form of payment for a €200,000 ($219,000) campaign donation for Castilla-La Mancha premier María Dolores de Cospedal in 2007, who is currently the PP’s secretary-general. The Bárcenas scandal broke on January 31, 2009, when El País newspaper revealed part of his secret handwritten ledgers. The treasurer initially denied his affiliation to them, but admitted to it in July 2013. Luis Bárcenas is accused of a number of economic crimes. He is also involved in the Gürtel kickbacks-for-contract case, which is going to trial after a five-year investigation. 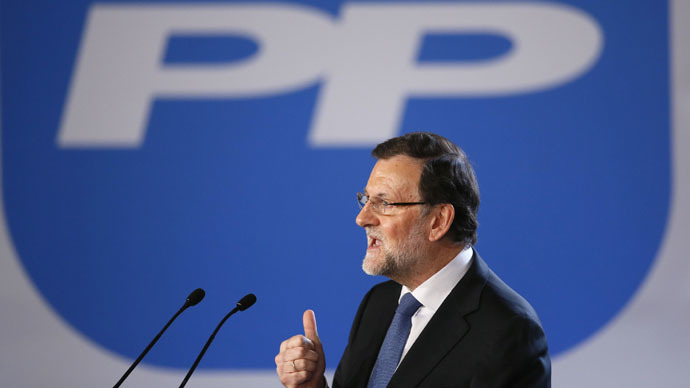 The Popular Party illegal funding scandal is part of the Gürtel inquiry. The Popular Party suffered a sharp defeat at elections in Andalucía over the weekend, outperformed by Spain’s Socialist Party. Its voting share fell to just 27 percent, compared to 41 percent in 2012. As a result, it will receive just 33 seats in parliament, down from 50.